What do you think of when you hear the word pallet? Do you think of those portable platforms for handling, storing, or moving materials and packages? They’re flat,wooden, and you see them sometimes in grocery stores when items are being placed on the store’s shelves. Behind WalMart you can always see stacks of empty ones. They’re really unattractive but useful to warehouses and stores. 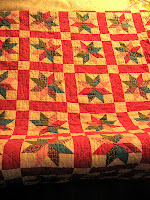 When I hear the word pallet I think of beautiful quilts. My grandmother raised eleven children and as adults when even a few of them would visit her at the same time, beds were usually for grown-ups and the pallets were for her grandchildren. But these pallets were made by layering beautiful quilts on the floor to make it as comfortable as possible for those who slept there. And then you got another quilt for cover. 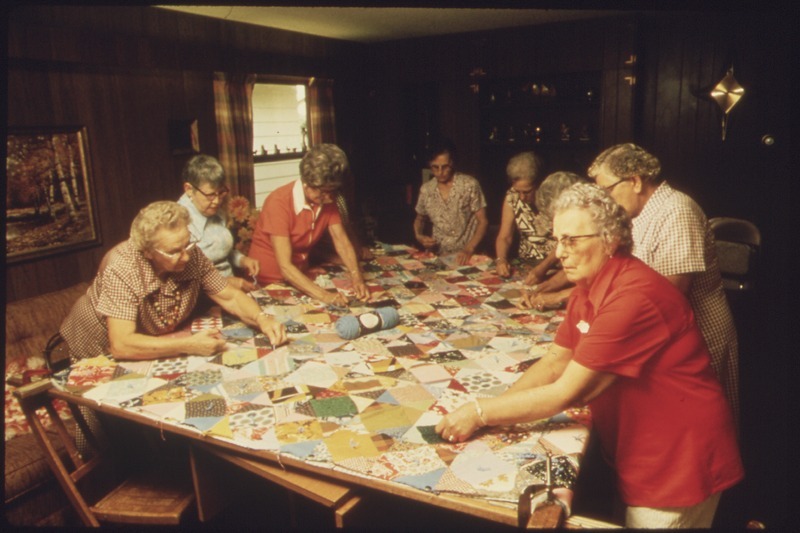 Ladies in the family or community would gather to hand-stitch quilts. Most of my grandmother’s quilts were made of pieces from outgrown clothes. 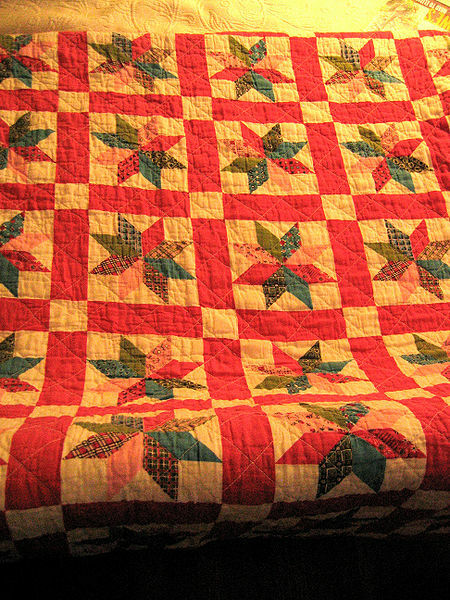 And when finished, the patterns of the quilts were breathtaking. I have one an aunt made that has butterflies patterned all over it. Another one was made for my son and brown ponies cover it. Some hand sewn quilts have very intricate patterns. Some are hung on walls as decorative art. When I remember my youth I never forget the times I’ve slept on a pallet on the floor. More fun to a kid than a bed anytime. You ever slept on a pallet?